You know, it's funny how things come full circle, one day, just out of the blue. I was perusing the internet earlier this week and came across this article on http://225batonrouge.com . There it was! The origins of Spinach Madeline, a beloved South Louisiana recipe that I posted here on the blog last year for Thanksgiving and again last Christmas. I never knew the exact origin of the recipe or who made it up but here it is! I found it very interesting especially since I've been making it for the last 25 years! Local retiree Madeline Wright caused a sensation and a renowned regional dish with her creation of Spinach Madeleine in 1956. In 1956, St. Francisville native Madeline Wright was mulling over what to prepare for a bridge luncheon for friends when she spotted a six-ounce roll of Kraft jalapeño cheese in her refrigerator. She had picked up the new product from the supermarket a few days earlier with no specific plans for using it. Maybe it would enhance creamed spinach, she thought. Despite her lack of cooking experience, she proceeded to toss together what seemed right: chopped spinach, diced onion, butter, flour, vegetable liquor, a few shakes of celery salt and garlic salt, chunks of the jalapeño cheese roll and Worcestershire sauce. Wright stirred the concoction until it was thick and creamy, placed it in a casserole and topped it with breadcrumbs. She plated it on good china and served it to her friends. It was creamy, salty and spiked with unexpected spiciness. Her friends’ rave reviews inspired her to keep serving the dish at dinner parties and family events. Two years later, the Junior League of Baton Rouge asked its members to submit recipes for its first cookbook, and Wright handed over instructions for her go-to spicy creamed spinach. She named it Spinach Madeleine, using the French spelling of her first name for extra flourish. River Road Recipes was published in 1959 and quickly became a regional hit. Its success led to three subsequent volumes, which together form the best-selling community cookbook series in the nation. Generations of readers have discovered and cooked Wright’s recipe, and it has long been a standard item on local holiday tables. Spinach Madeleine became so popular regionally that when Kraft Foods discontinued its jalapeño cheese roll in 1999, fans of the dish showered the company with complaints. Kraft maintained its decision, forcing local cooks to turn to other jalapeño cheeses for the recipe. Today, Wright still marvels at the unexpected attention earned by her bout of kitchen spontaneity. “It’s really sort of funny and a little bit embarrassing, but it’s nice to be known for something,” says Wright, now 82 and still living in St. Francisville. Cooking had not been one of Wright’s favorite activities. When many of her peers were learning to cook, she was earning dual bachelor’s degrees from LSU in psychology and sociology. As she approached her marriage to William Reymond shortly after graduation, her mother had a suggestion. Wright and her first husband and their children eventually moved to Houston. She later created a company that leased plants to corporate offices. She returned home to St. Francisville years later, and in 1992, she opened a bed and breakfast on family property called the Green Springs Inn. She closed it in 2005 to spend more time with family. 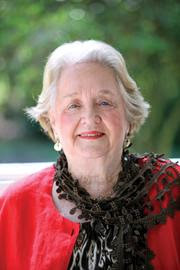 As for her famed dish, Wright says she has made it occasionally over the years, but not as often as its fans might think. Wright also laments the loss of the cornerstone ingredient, the jalapeño cheese log. Wright says she never benefitted financially from the recipe, and she says she still marvels at the enthusiasm with which people have embraced it. How to get a lot of additional info about Emu Casino? Click here to know more.